The motorsport community lost a true pioneer today. 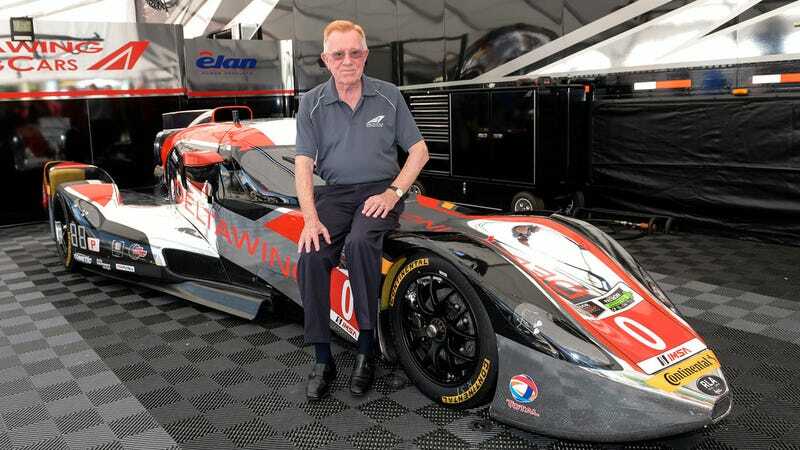 Don Panoz, IMSA Vice President, racing impresario and innovator of speed, has died at 83, according to multiple news reports. Panoz was instrumental to the growth of American sports car and open wheel racing over the course of the last 20 years, having founded the American Le Mans Series in 1998. While the sport was desperate for leadership in the late ‘90s, Don stepped up to the table and created a path forward. Don’s early successes were found in the pharmaceuticals industry, where he got his start operating a pair of drug stores in the Pittsburgh area. He later started Milan Pharmaceuticals with Milan Puskar in 1961. While heading a research group at Milan, he developed a transdermal method of time-release medication with myriad uses. When the company refused to invest in the technology, he moved to Ireland to start his own company for the purpose of developing and distributing his invention, the nicotine patch. In 1989, Don funded his son Dan’s Panoz Auto Development, later Panoz, LLC. The company launched the Panoz Roadster in 1992, which they called the first aluminum intensive vehicle built in America, using Ford Mustang running gear and minimal creature comforts. The Roadster was followed by the more widely known Esperante model. Partially a marketing exercise and partially a vanity project, Panoz developed the Panoz Esperante GTR-1 for use in the FIA GT Championship. While running this car in Europe, Don was inspired to bring Le Mans-style racing to the U.S. market. At the time Don had invested in Road Atlanta, Sebring Raceway, and Mosport. For 1998, he developed a one-off race called Petit Le Mans at Road Atlanta, a 1000 mile race for Le Mans-style cars. In 1999, that idea expanded into the American Le Mans Series. Doctor Don was also quite interested in thinking outside the box when it came to racing and motorsport. As far back as 1998, Panoz was teaming with Zytek to develop a hybrid racing car in the Esperante Q9 GTR-1 Hybrid, which they’d nicknamed Sparky. That car tested at Le Mans, and finished 12th overall at Petit Le Mans, but the program was abandoned afterward, as battery technology wasn’t up to the necessary level yet. He was also instrumental in the development of safer chassis for Champ Car, as well as the infamous Deltawing, and a proposed electric racer with swappable batteries for endurance racing. Panoz also invested in Van Diemen racing cars, G Force—an erstwhile IndyCar constructor—which won the Indy 500 twice under his ownership, Elan Technologies, and Green4U Technologies. He remained an inventor even into his 80s, pioneering internet-based race radio broadcasts and video streaming services for ALMS races to reach the masses. Panoz racing cars are still serious competitors today, as the Avezzano GT4 won Pirelli World Challenge GTS manufacturers’ championships this year. Panoz is survived by his wife Nancy; sons Dan and Chris; daughters Donna, Dena, Lisa, and Andrea, as well as many grandchildren and great grandchildren.